Multi-Mount device boxes are a hybrid of the Original Smart Boxes. 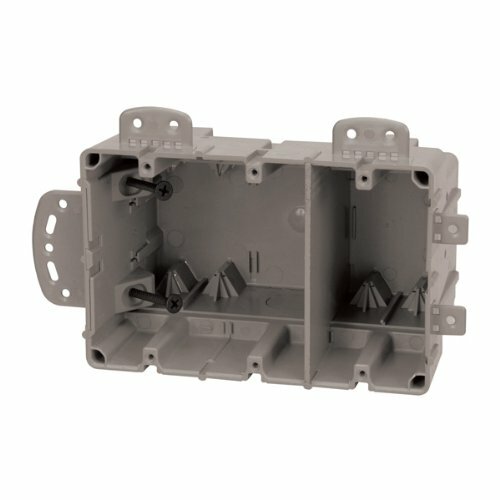 These boxes offer additional built in features such as removable nail tabs used for metal stud mounting, removable interior mounting blocks to allow for more cubic inch in the box, built in mounting blocks on the top end of the box for vertical mounting, ½ inch knock outs for ENT or PVC conduit connections, and finally low voltage wall dividers to allow for mixed voltages in the same box. The result of these added features creates an even more user friendly device box to meet the ever growing demands on electricians in the field. If you have any questions about this product by Madison Electric Products, contact us by completing and submitting the form below. If you are looking for a specif part number, please include it with your message.